The thinking season; and whither stink bugs? In theory I am all in favor of year-round gardening, using season-extension techniques to produce food even in the dead of winter, and probably I will do more toward that goal in the future, but… it’s nice to have a rest, too, and to be able to sit back and plan next year’s garden without having it merge into this year’s. 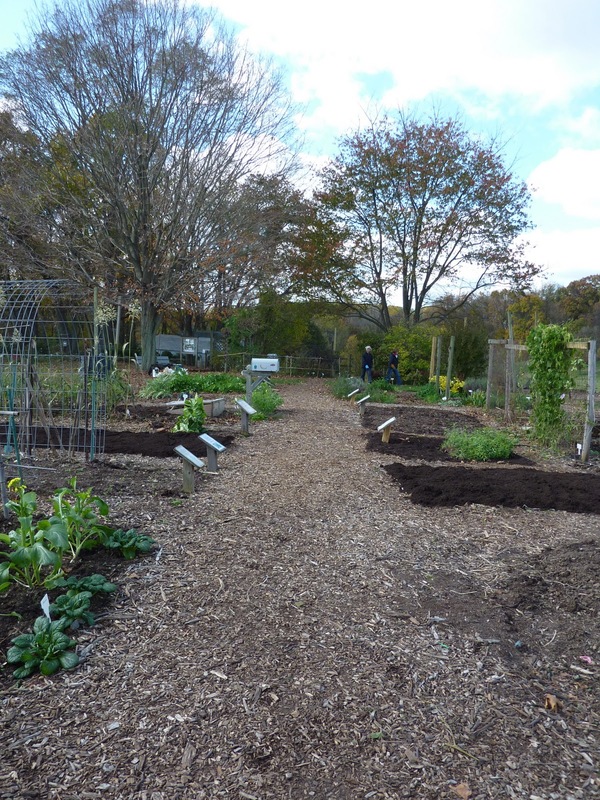 We put the Derwood Demo Garden to bed in November. There are still a few miscellaneous greens growing there, including in a cold frame, and I will be stopping back on occasion to check on them and harvest. But really it’s planning time: the thinking season. My goal for the garden next year is two-fold: first, we’ve formed small teams to address the problems we’ve had recently with particular crops (tomatoes, beans, squash, cucumbers and melons) and try to get good yields out of them next year. Second, in the spaces between I’m going to feature plants that have done very well in recent years. In upcoming posts, I’ll show you some of those plants. 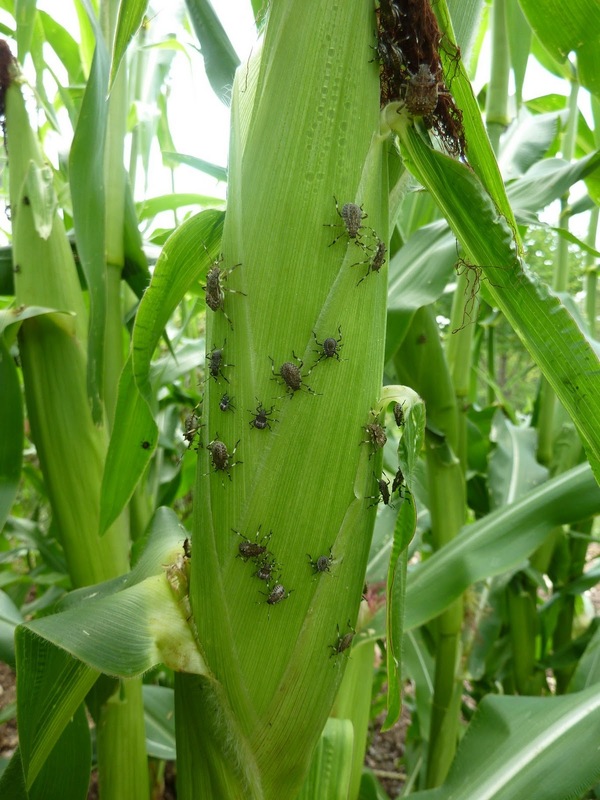 On a sort-of-related topic: one of the crop problems that we need to address is damage caused by brown marmorated stink bugs. They were devastating in the demo garden this year, and pretty bad in my home garden, and all over my house last winter. I’ve talked to gardeners across the state who had varying experiences with them, from none at all to so many they felt like throwing in the trowel. But – and I say this with caution, because I’m sure I’m jinxing myself – after a brief and mild home invasion in September, I’ve seen very few of them indoors this year. The same thing was true last fall – saw lots early on and then they disappeared – but they came back as soon as it got cold, I assume migrating down from the attic, and so far the recent cooler spell after our long warm fall has not brought a bug-flux. I’ve only seen two in the last week (admittedly, one of them was resting on a tissue I used to blow my nose, so that wasn’t pleasant) and I’m hoping that will be the rate they appear at all winter. Fingers crossed. We also saw close to none in the shed at the demo garden during fall clean-up, and last year they were everywhere. How about you, Maryland gardeners? What’s your inside stink bug count this fall? How bad were they in your gardens? What about next year; any predictions? Stink bug count this fall: Maybe 1 a week inside; last year the figure must have been 10. In the garden this year: horrendous. I began spraying for the first time in 10 years. Otherwise I would have had few edible tomatoes, raspberries, or blackberries. I left one plant unsprayed and watched in disgust as the stink bugs attacked the large tomatoes and reduced them to rotten skin and decaying flesh. All of my fruiting plants were decimated and as you picture shows, they love corn. Interestingly, they also loved my asparagus once it went to fern. I lost a lot of growth in my asparagus patch. Worst of all, my mantids couldn't keep up with the population explosion. The only thing that worked were my neighbors chickens but they only took care of the low ones. As for the wintering over problem, I haven't seen many in the house or in my shed. Hopefully next year won't be as bad. They attacked the asparagus at the demo garden too, in large numbers.